If you're attending a 1970's party then look no further than an ABBA costume. The ABBA range is all about lycra jumpsuits, colourful jumpsuits and sequins. Dress up as a group or couple costume as your favourite Super Trooper Dancing Queen! Don't forget the platform boots and the crazy wig! 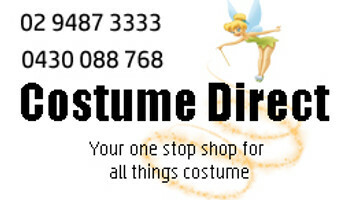 You'll be a dancing queen with Costume Direct's ABBA costumes! Popular in the 70s and 80s, the Swedish band from Stockholm made stylish sparkling hotpants, gold skin tight jumpsuits, platform boots and wigs, dressed up as your favourite Super Trooper Dancing Queen. Dance the night away dressed as Agnetha, Björn, Benny, and Anni-Frid! For your next Eurovision celebration, white party or 70s or 80s costumed event, take a chance on an ABBA costume! Let us help you find a look that is uniquely ABBA by exploring the fabulous range!